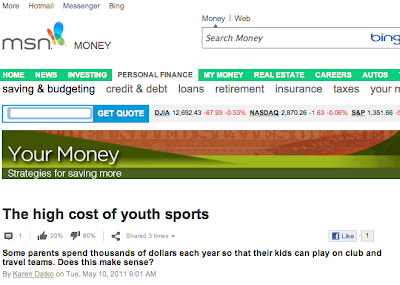 Karen Datko, a writer for MSN Money, recently quoted this site in an article called The High cost of Youths Sports. 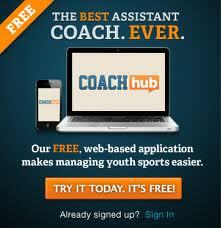 MSN Money also linked to a post that I wrote for Coachhub.com called How to Save Money on Youth Sports. As of today the 131 day for the year, we have spent $4750 dollars on youth sports ($36/day). We use a some of the tips that I outlined in the links above to save money, else the total would be higher. I thought that I would share my learnings with you.